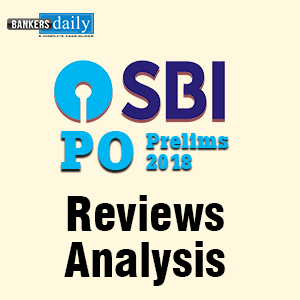 State bank of India (SBI) has released the notification for recruitment of Probationary Officer (PO) for more than 2400 vacancies. Prelims Examination for PO is going to held from tomorrow. In first week of SBI PO Prelims, we have got same pattern of questions in all slots. Will the pattern of questions asked be same as previous week for tomorrow’s Exam? We hope the pattern will be same. But stay-tuned on this page for more updates. Download and Print your Call letters, take a Xerox copy of Identity Proof, Make sure you have a Passport Size Photograph. Make all arrangements needed by today itself else finally you will get into frustration. Check your Time -Management Skills an Focus on all sections in Exam.